“It’s important to have somebody there, and Ms. Jones has been there. 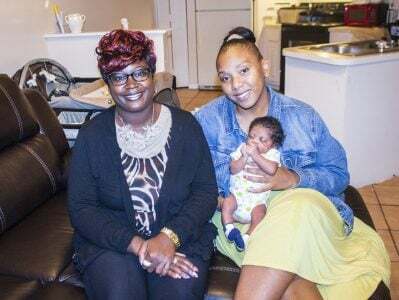 I love me some Ms. Jones; from the moment I had her she helped me with everything I needed help with,” Asrael said about her time spent with Belinda Jones, a social services counselor with the Florida Department of Health Duval County. 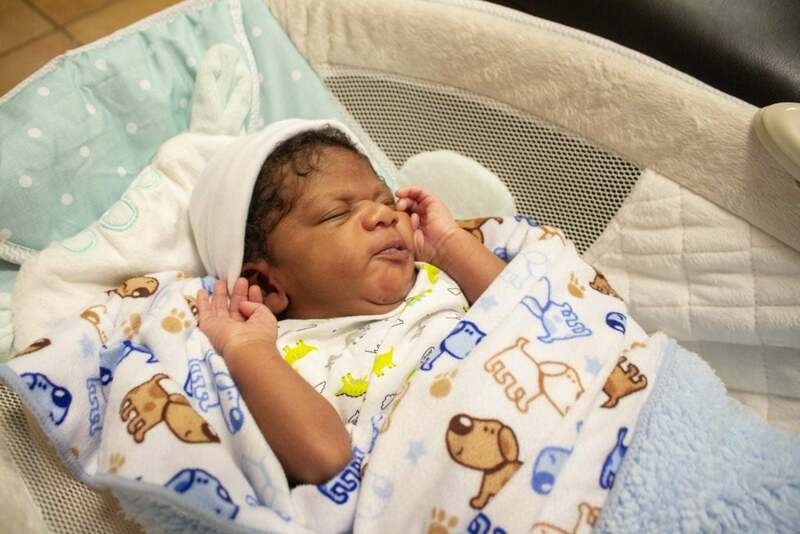 Up until the eighth month of pregnancy, Asrael tried to manage on her own. When she realized she needed additional help, she knew that Healthy Start provided the necessary support and education and called. Belinda was in her life less than a week later and has been conducting home visits every week since. Healthy Start is a free, voluntary program for pregnant women that offers assistance in finding services that can help them have a healthy baby (i.e. home visits, personal support staff, childbirth education/preparation, parenting education and support, breastfeeding education and more). The services are tailored to a woman based on her needs. Healthy Start is available to all pregnant women and services can continue until the baby turns 1. Asrael first took part in Healthy Start when she was pregnant with her oldest child at 17. A pediatrician went to her high school to speak to her class and referred her to Healthy Start. During her most recent pregnancy with her son Ahmad, she sought the community resources and information that Healthy Start provided her previously. The information has brought education and safety to the whole family. She takes caution to not sleep with Ahmad, and to have him in his bassinet or crib instead. Belinda also brings information to Asrael for Ahmad’s three siblings, such as how to remain as germ-free as possible at school and not spreading germs to their baby brother. Asrael said the services were great then and they’re still great now. Belinda provides more than a check up on Ahmad’s food intake, sleep schedule, home environment, etc. She provides an open phone line, a sense of family, extended care to Asrael’s three other children who are not in the Healthy Start program and much more. “It’s just exciting and refreshing to come out here every day – to be a social services counselor, to do your job and meet wonderful people like [Asrael], the baby and her family,” Belinda said.